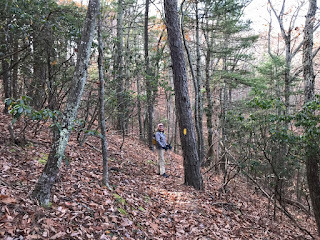 Thanks for the seven hard working volunteers that showed up for the December 2nd trail maintenance project at Turk Gap. Co-overseers, Jeff Monroe and Marit Anderson, with assistance from Mark Perschel, designed the work day to create water bars on the Appalachian Trail from Turk Gap to Crimora Lake Overlook. Unfortunately Marit had a family member needing emergency surgery, so Jeff and Mark demonstrated the process and coordinated the team. Twenty four berm water bars were formed in two hours of intense digging! 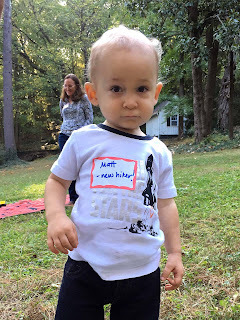 Much gratitude to Hunter and Meghan Cloud, Dave Borszich, Christa Neher, and Nancy Handley for their time and effort. 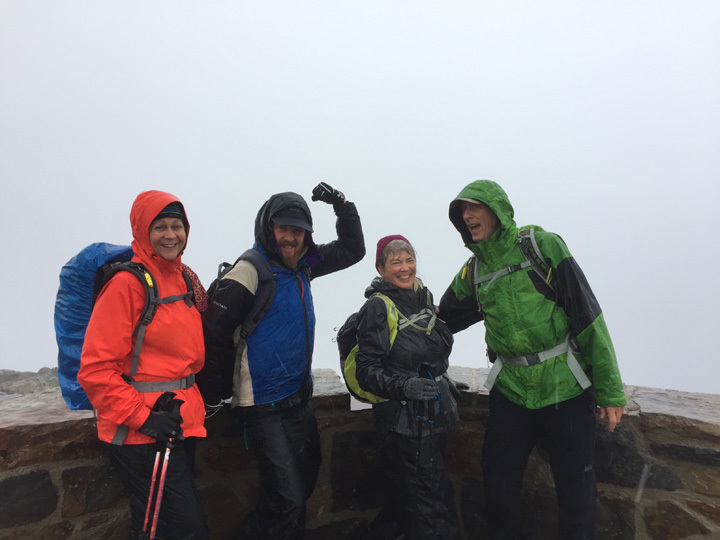 At noon cookies were handed out and the group dispersed, except Mark, Dave, Nancy, and Christa hiked up to the top of Turk Summit to enjoy the sunshine and view. Nice day in the Shenandoah National Park. 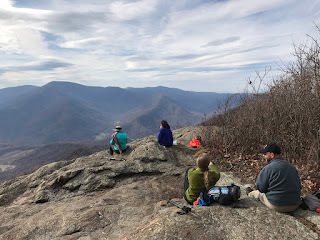 Five Hikers opted outside on the Saturday after Thanksgiving, taking the Maupin Field Access Road from the Blue Ridge Parkway at Love Gap, passing the shelter, and climbing to the Hanging Rock Overlook in the Three Ridges Wilderness. Lunch was consumed at the overlook, and then the group returned via their same route. 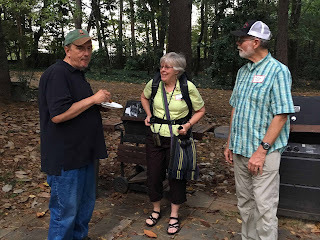 Hike leader Jeff Monroe was joined by Marie Moss, Marian Styles, Debra Fisher, and Arkansas visitor Gary Strakshus for the hike. 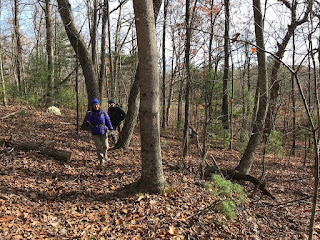 Despite nice temps and sunny skies, there were relatively few hikers on the trail. 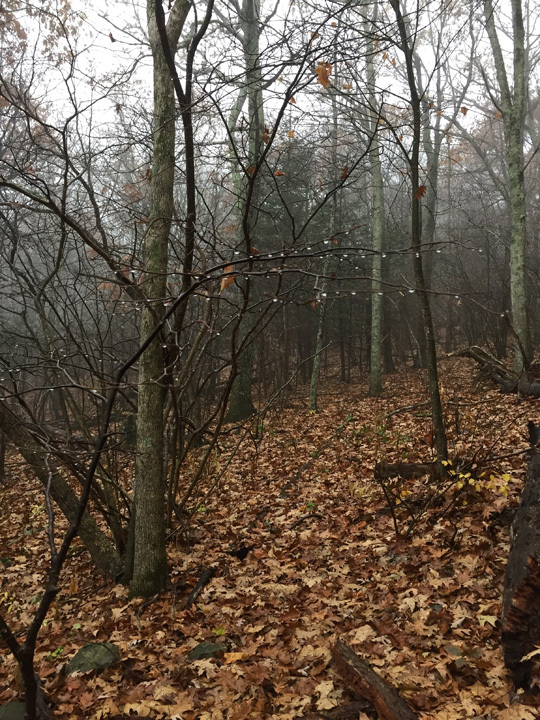 The group did encounter two fellows with rifles and blaze orange hats on the return, however, and all were glad to be sporting blaze orange as hunting season has begun. Quite nice to get a crowd of ten hikers to come out on a weekday for the Old Rag hike on Friday, November 17. The weather could not have been better and we had folks coming from many directions - a car from Crozet and west, one car load from Charlottesville, two folks from north of town, and one from Northern Virginia. 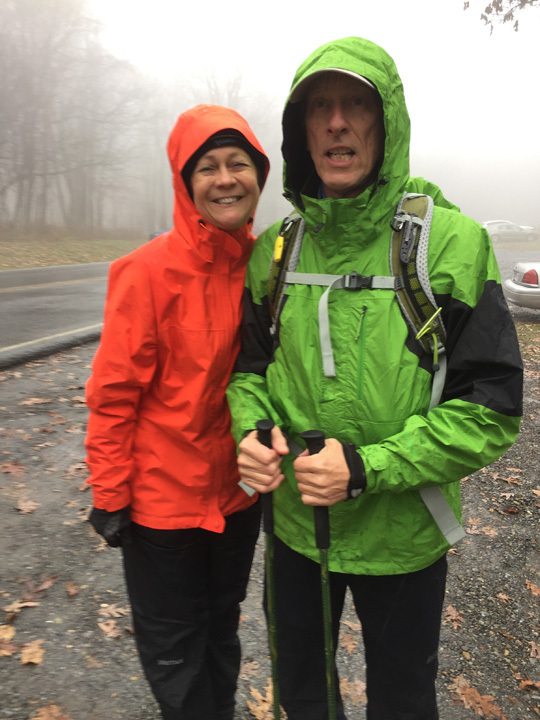 Marit Anderson, hike leader, was assisted by Mark Perschel at sweep. 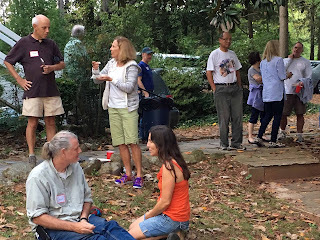 The participants included Dave Borszich, Andre Meyer, Barbara Martin, Nancy Handly, Brian Muszynski, John Brandt, Iva Gillet, and Rolf Anderson (Marit's brother who came down from NoVA to join the group for the day). We met up at the lower parking lot of Old Rag at 10 am...choosing a weekday trying to avoid the crowds. The 9.2 mile circuit touted as "very strenuous" made for a long, but wonderful day - 6.5 hours of hiking and 2,380 ft. elevation gain. 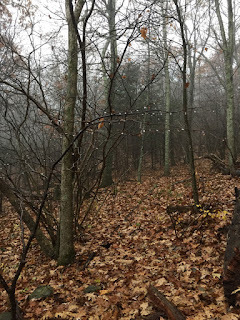 No major scrapes and only a few small tears in hiking pants - with all members successful in all of the slots to go through, rocks to pull up on, crevices to jump over, and all types of maneuvers to hoist and hurl their bodies over. Fun was to be had by all! 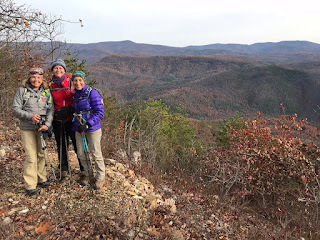 The group hiked the ascent on Rt 600 and up the blue blazed Ridge Trail. We stopped for a snack and admired the easterly view towards the valley of Syria and Madison. The climb continued across the rock scramble and we had lunch at the summit (3,219 ft). 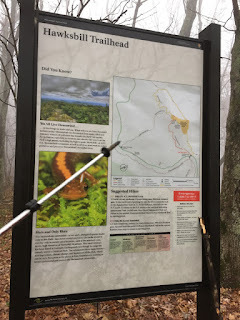 We went past Byrds Nest 1 Shelter and descended on the Saddle Trail to Old Rag Shelter following the Old Rag Fire Road and then making our way back to the parking lot along the Weakley Hollow Fire Road. It was pointed out that the town of Old Rag had a church, post office, school, and community where the intersection was along the fire roads. 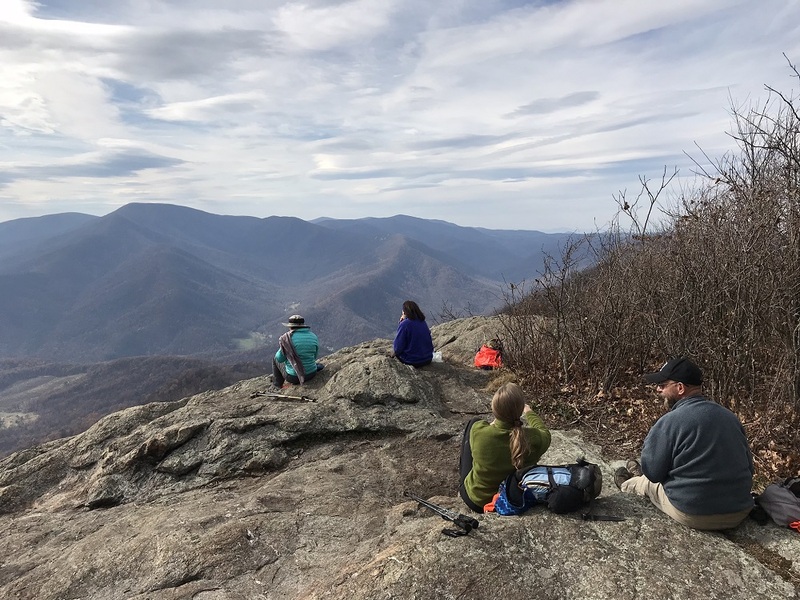 Much of Old Rag is Wilderness, which means that it is designated by Congress to be placed under the highest level of protection possible for public lands. 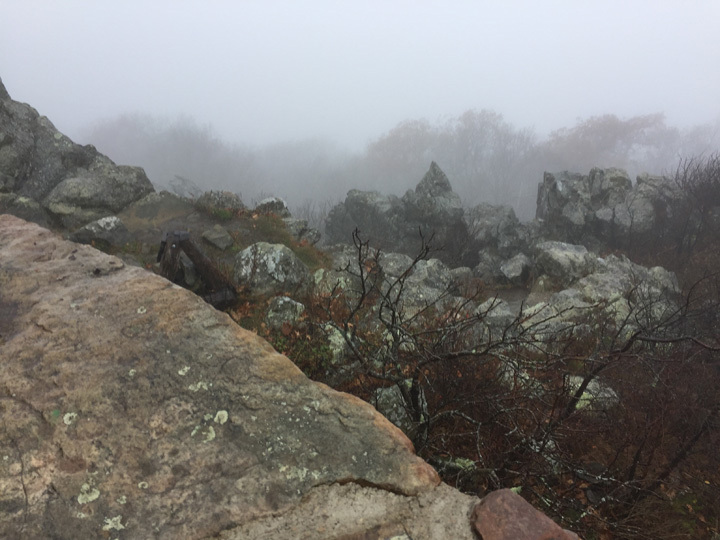 Old Rag Mountain is one of the most popular hikes in the Shenandoah National Park and was certainly one of the favorites for many in our group. 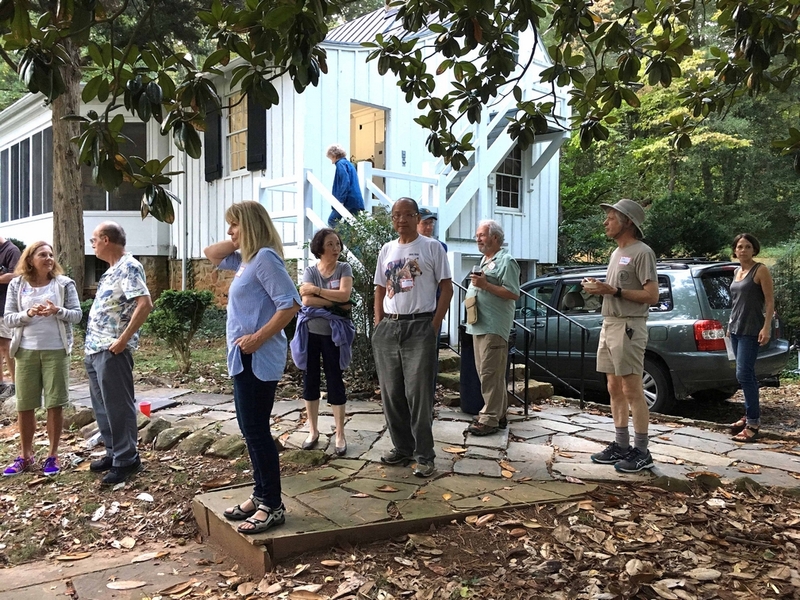 The last treat of the day was a time for refreshments at the Old Rag Cabin, the newest of the cabins for rent by the PATC. Most of the hikers enjoyed snacks, drinks, and a tour of the new facility. The exterior is from an old log cabin relocated to this spot, but the interior is quite modern and cozy. 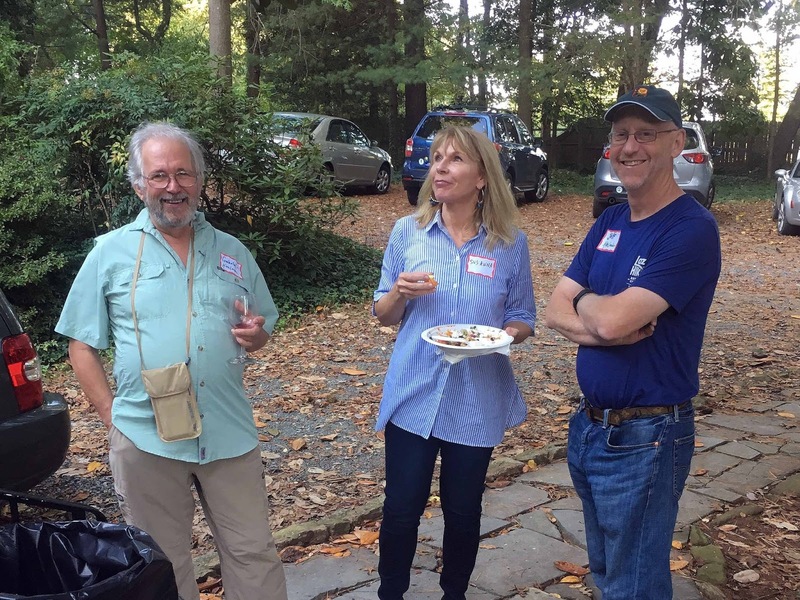 Marit and Mark spent the weekend with Jim Tomlin - PATC President, Glen Tsaparas - Supervisor of Facilities, and Jayne Mayne promoting PATC membership and trail maintenance. 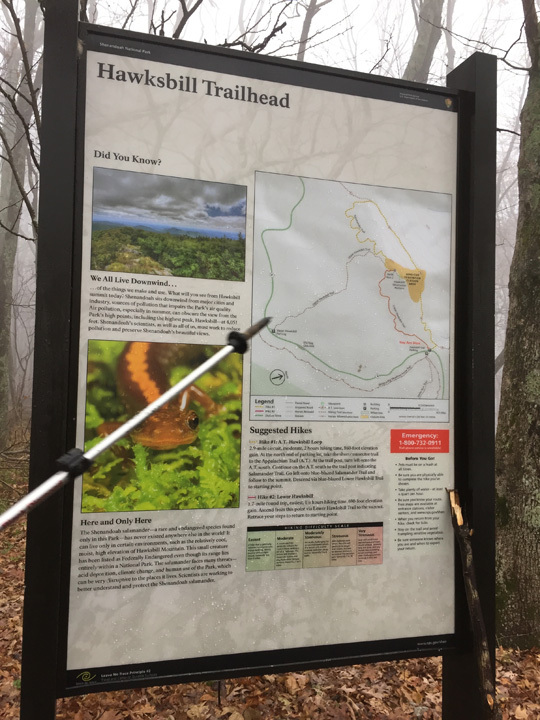 They manned a booth in front of the cabin serving free hot chocolate/water/Gatorade, handing out brochures, answering questions, and encouraging hundreds of hikers to join the club as they were coming down from their hike up Old Rag. It was quite a successful and rewarding experience for all. 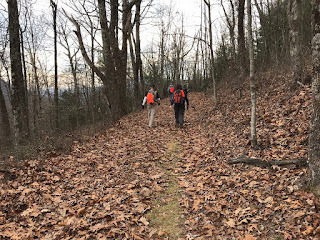 A total of 8 hikers, including 4 from the PATC, 3 from the Natural Bridge Appalachian Trail Club, and the hike leader who is an active member of both groups, met on the Blue Ridge Parkway just south of Route 56 on a cold November morning to hike the Whetstone Ridge Trail. 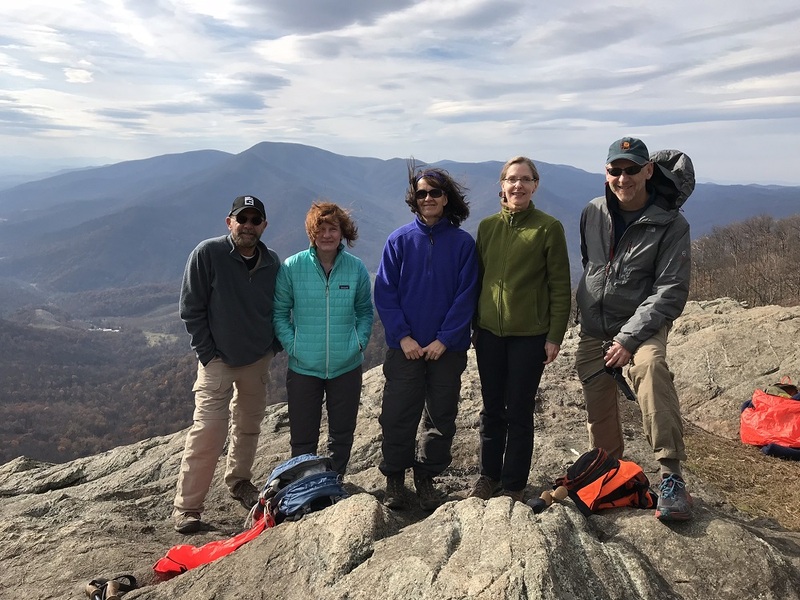 Hikers included Iva Gillet, Marit Anderson, Andre Meyer, and Barbara Martin from the PATC, and Eddie Wayland, Laura Neale, and Herb Vreeland from the NBATC. 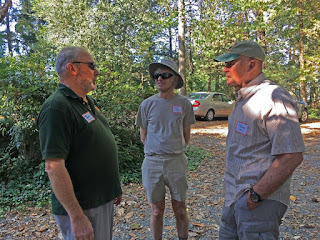 The hike leader was Jeff Monroe. 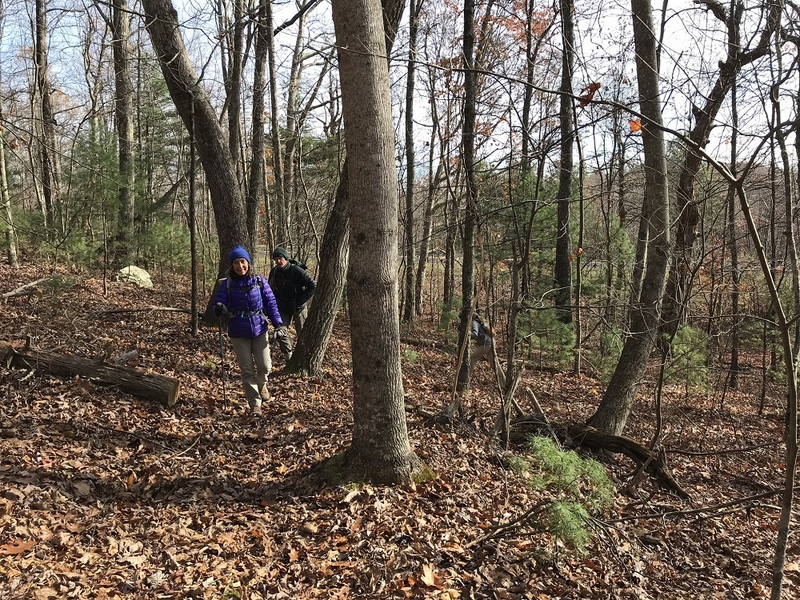 Many hikers had never before experienced the Whetstone Ridge Trail because, at about 12 miles, it isn't easily completed without a group and a car shuttle. Although the leaves were just a little past peak, the day turned beautiful and there were ridge top views to be had along much of the way, ranging from the Cole Mountain and Priest areas to the Shenandoah Valley and Jump Rock. The group completed the hike in a little over six hours, enjoying views and looking for the perfect lunch spot along the way. This is a tough hike, as it has many ups and downs during the second half of the trip. 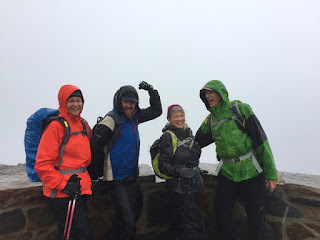 Wearing multiple layers of protection, the four of them defied a persistent and chilly rain, as hike leader Iva Gillet led Bill Holman, Jeanne Siler and Brian Muszynski on her annual attempt to achieve a sunset/moonrise hike—this year to the highest point in Shenandoah National Park: the Hawksbill Summit at 4,049 feet. Generosity and laughter dominated the afternoon outing. Brian helped two inexperienced drivers push their cars out of muddy parking spots along the drive, and Iva left prodigious amount of pumpkin and banana nut bread for the ravenous Towson University rugby team members who straggled into the Byrd’s Nest shelter at the summit like drowned tigers just before dark. Admiring the efficiency of water bars and dam checks along the Lower Hawksbill Trail gave a potential purpose to perhaps the shortest ever PATC Saturday hike. The best sunsets were viewed on the trail to the restrooms as photographs on the walls at Skyland, where the small group retreated for hot chili and cold beer. As for the moonlight, they imagined it (and herds of mice crossing the road) as Iva fearlessly negotiated miles of fog along Skyline Drive on the return to US route 33. 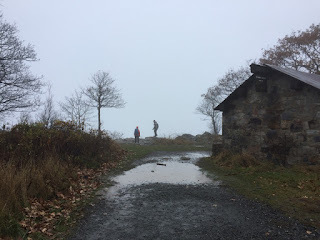 A morning pre-hike to the summit with Cat McCue, Muszynski, Gillet, Remy the Hiking Dog, and her companions, Moose and Colt, had slightly better views and drier terrain, but still no sunset or moonrise. Another attempt on the summit may be planned for January, according to the ever-optimistic Gillet. When something lasts for 90 years, it deserves a party. 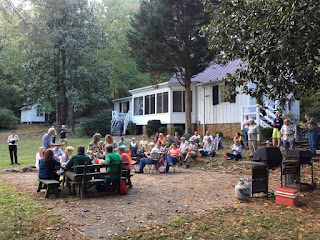 The Charlottesville PATC chapter chose Sunday afternoon, October 15, to celebrate the founding year of the Potomac Appalachian Trail Club. As befits a birthday celebration, there was cake. There was ice cream. There was a big balloon. 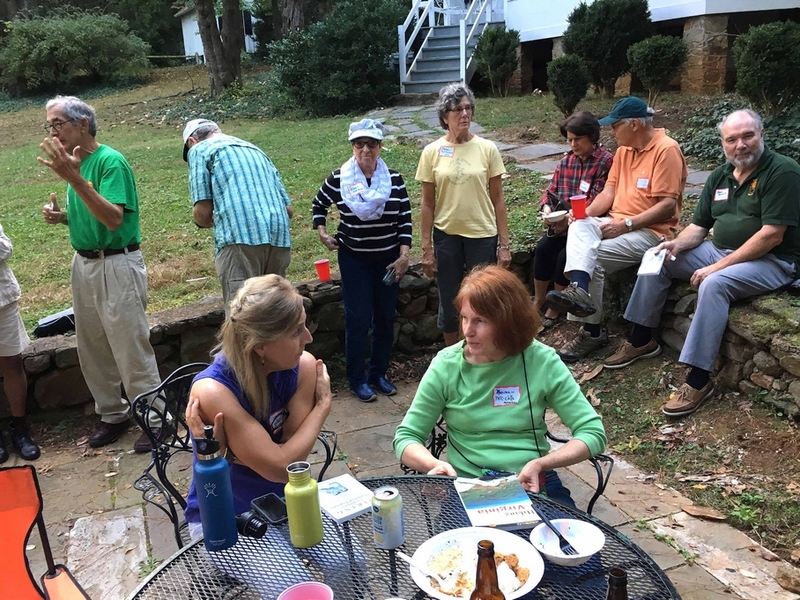 More importantly, there were close to sixty PATC fans—from both the Southern Shenandoah Valley and Charlottesville chapters, including trail maintainers, district managers, hikers, and EXCOM members from the Virginia and Maryland area—who made their way to Dunlodge Cabin in Charlottesville with potluck dishes and stories to share. Steve McLaughlin, supervisor of membership, John Hedrick, supervisor of trails, and Mel Merrit, cabins operations, along with our guest speaker, Tom Johnson, traveled hours to join us. 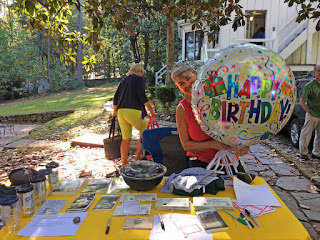 Those present were treated not only to a dining room table full of food and beautifully warm outdoor weather but also a fascinating chronology of PATC history. 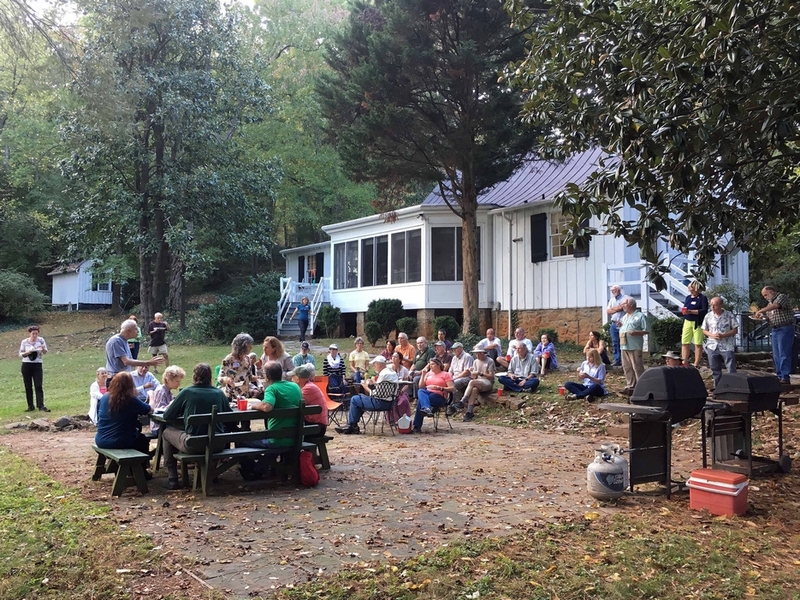 Charlottesville chapter treasurer and professional crooner, Barbara Martin, led the group in the traditional “Happy Birthday” song, kicking off the formal portion of the evening. 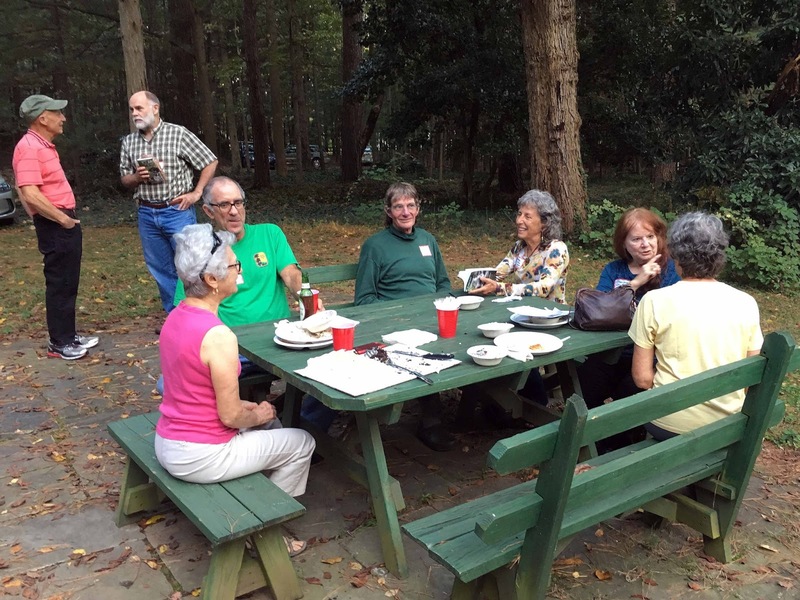 (If an outdoor picnic full of hikers and a raffle drawing can even be called formal.) Charlottesville Chapter President Iva Gillet hosted, and together with Martin, presided over a free raffle with a generous array of goodies from the PATC office and donations from local outfitters, Great Outdoor Provisions and Rockfish Gap Outfitters. 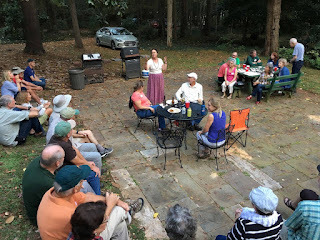 Eating and socializing dominated until Southern Shenandoah Valley Chapter president Dave Bennick introduced the evening’s speaker, Tom Johnson, PATC’s official archivist, past president, librarian and club historian. 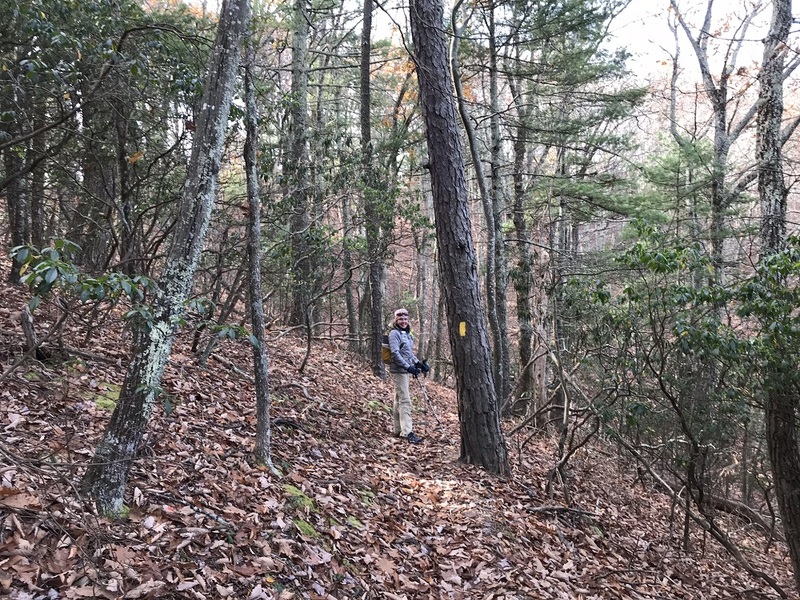 As they soon learned, Avery was the dedicated hiker from Maine who established the first stretches of the Appalachian Trail 90 years ago in 1927. 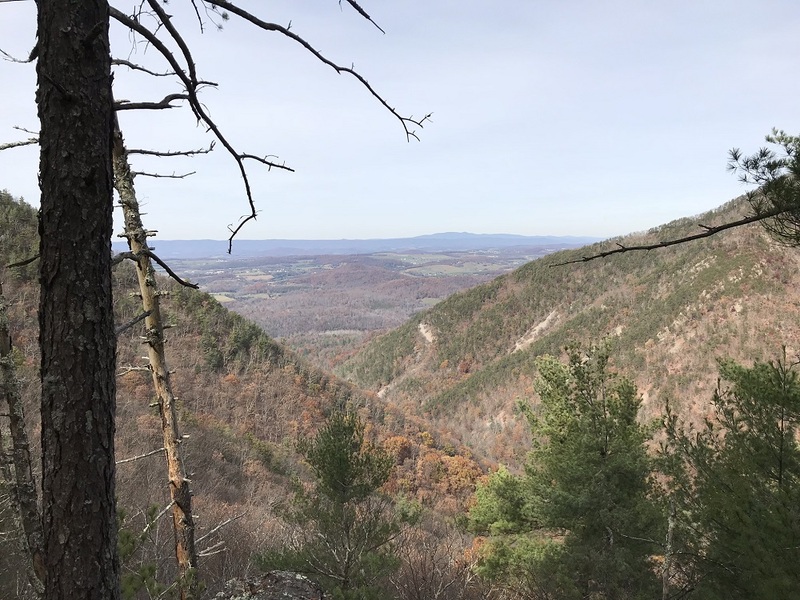 Avery purportedly kept a pace few could match as he blazed the ridge lines and the valleys between Harper’s Ferry and Front Royal in 1928—and always pushing a measuring wheel. And this was before the Shenandoah National Park was created in 1935. 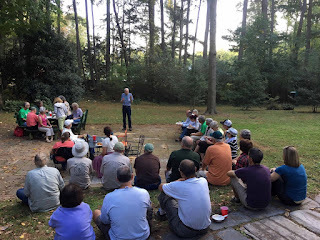 Avery is credited, too, with organizing the entire AT route south of the Delaware River to Springer Mountain, GA.
Johnson quizzed the audience about George Freeman Pollock (who established Skyland resort), and P. L. Ricker (early president of the Wildflower Preservation Society.) 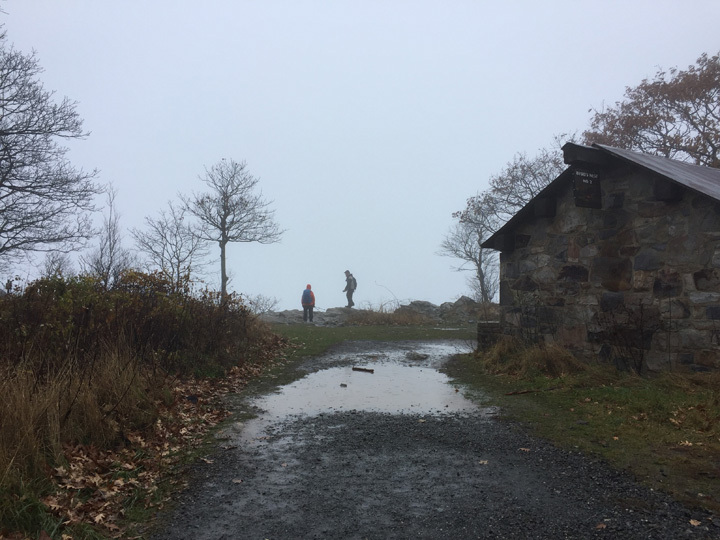 Like Pollock and all PATC hikers who would follow, these two were prominent among early admirers of the Appalachian mountains. 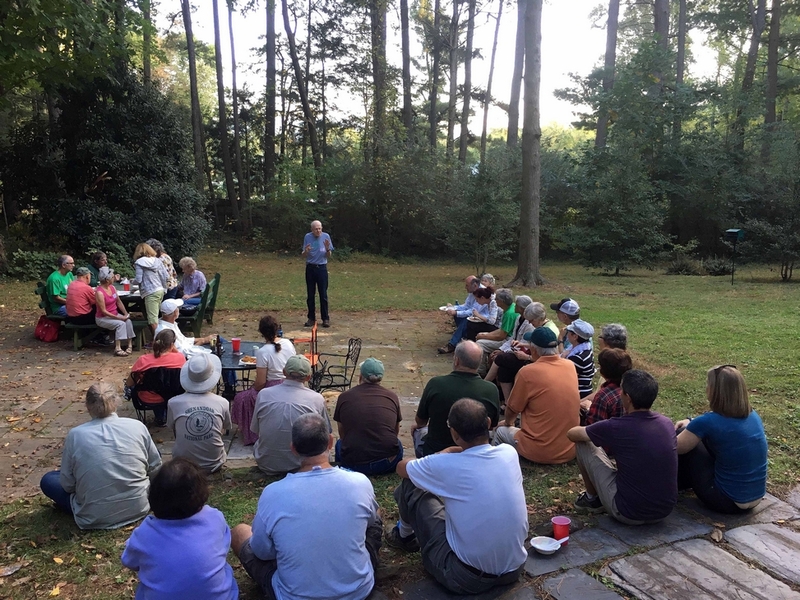 Johnson shared tales of the “Red Triangle Society,” an early hiking group out of D.C. and fielded questions about the more contemporary histories of the regional PATC chapters, most established in the 1980s. And after hearty applause, the raffle (and cake eating) continued. 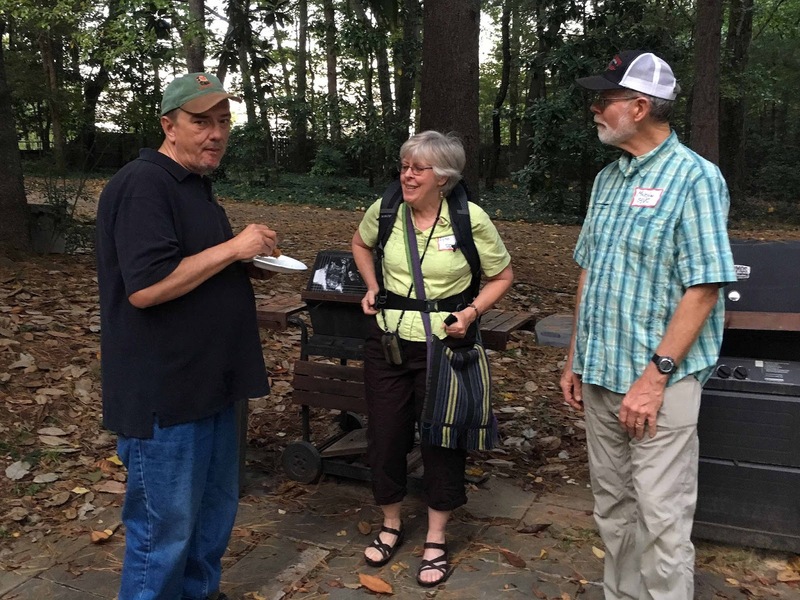 Hats, guide books, hiking shirts, gift certificate and drinking cups were all distributed before Ted Chang and Lynn Cameron each won an Osprey backpack, courtesy of their lucky numbers and Great Outdoor Provisions and Rockfish Gap Outfitters. 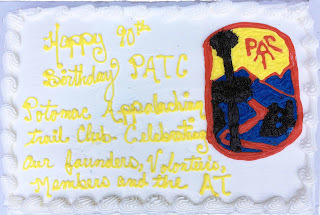 For more information about PATC history, contact archivist and librarian Tom Johnson at archives@patc.net; for more about hiking with central Virginia local PATC chapters, visit http://patc-charlottesville.blogspot.com/p/hike-schedule.html for Charlottesville area hikes and http://www.ssvc.org/hike-schedule.html for Shenandoah Valley area hikes or visit http://www.patc.net/patc/.